Praying is about expressing the thoughts of God not trying to impress Him with ours. God reveals Himself to feed prayer responses that agree with His nature and will. So His Word is the pray-er’s inseparable companion. Praying scripture is not new. It has its roots in ancient Hebrew prayer life. But praying God’s Word is a passion and practice that has been lost to many in today’s church. There’s a growing movement to rediscover it. The track, ‘How to pray Scripture’ gives background to the value of praying the Bible and explains various ways to do that. For instance, praying from a scripture text, praying from a Bible narrative, and praying topically using scripture. It demonstrates how to mix these creatively and the part that melody can play in prayer. 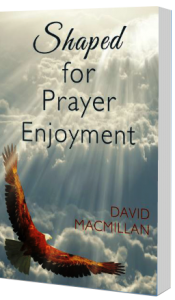 The track is aimed at deepening enjoyment and confidence in personal prayer, upgrading the heart’s prayer expressions, and increasing accuracy in strategic prayer. The principles are transferable to corporate prayer settings. The track includes a workshop session for coaching in praying scripture.